Peldon Rose designed the corporate offices for women’s clothing company, The White Company, located in London, England. The White Company have been creating stylish, beautifully designed products for over 23 years. 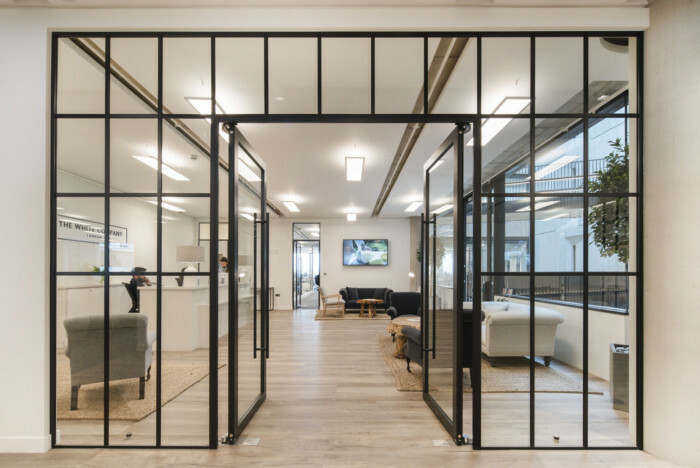 Their new 32,000 sq ft head office in the Television Centre in White City is designed to provide their people with an office environment that is synchronised with their brand. The new office is a warm, homely space which inspires a sense of pride in their people. Our mission was to showcase the brand and improve consistency with the look and feel of their stores. To successfully translate these ideas into a working office design, we pulled from the metrics we gathered from our workplace consultancy programme that we ran with staff at The White Company. Delivered in partnership with Household, the designers who create their store interiors, we created a new smart working environment. The new office is designed to make staff feel more relaxed and comfortable in the office. Filled with elegant, detailed finishes there is now a strong connection between the head office, the stores and the brand.